Black Pellets are produced through a process of torrefaction, during which water content, cellulose sugars, and other volatile organic compounds are removed from the biomass to produce a solid biofuel with characteristics similar to those of fossil coal. The main differences between black pellets and standard wood pellets are that black pellets have a 30% higher volumetric energy density, is less subject to biological degradation, is safer to transport and is hydrophobic. 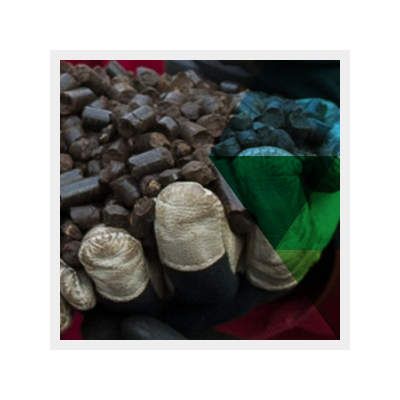 These factors lower the transportation and logistics costs of the black pellets. Torrefaction is a thermochemical treatment process that involves heating or ”roasting” biomass at temperatures of 200-300°C in the absence of oxygen during which the biomass partly decomposes, giving off different types of volatiles. The final product of the process is the remaining solid, which is referred to as black pellets.